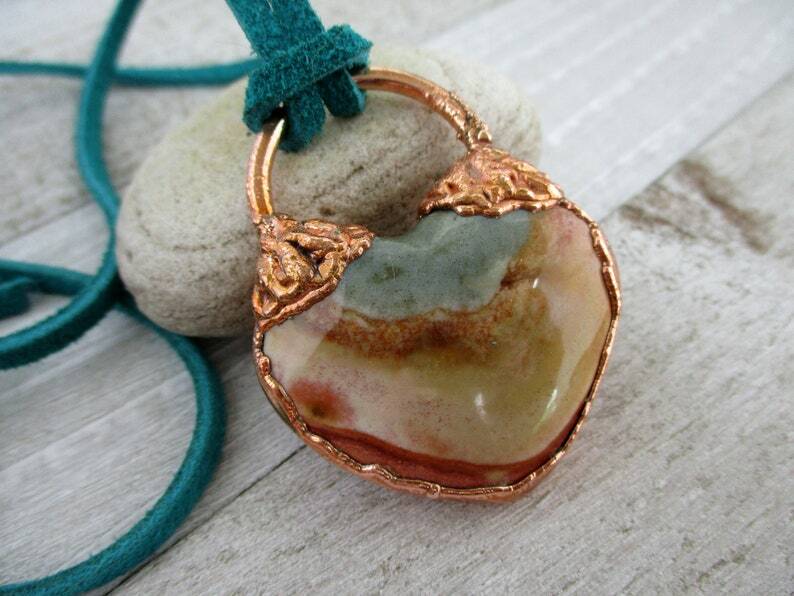 A polished jasper heart pendant that is reversible. You can choose the turquoise suede lace with lobster clasp or copper chain in either ball style or cable style as shown in the photos. This is bright shiny copper, unsealed and will darken and develop a patina over time unless it is kept polished. If you love this pendant but want it antiqued, just let me know - I'll be happy to do that for you.